Delightful sculpture in bronze of a Highland calf sitting down by celebrated animal sculptor Veronica Ballan, from the Frith collection. Highlanders are instantly recognisable by their thick shaggy coats which help them survive and indeed thrive in the most difficult of environments. 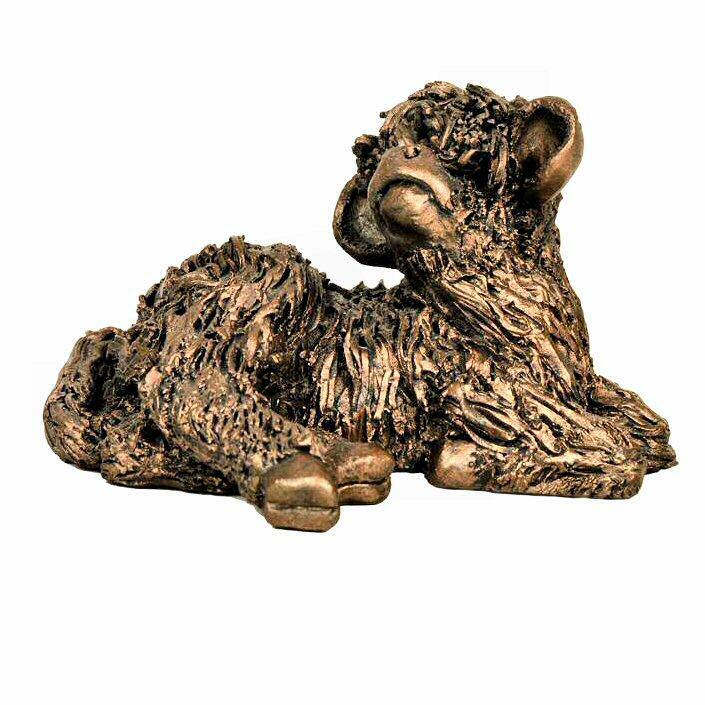 An expertly crafted sculpture in hand finished, cold cast bronze - a fine and treasured gift, it would be perfect displayed along with one or more of the adult Highlands Bulls or Cows in the Veronica Ballan collection. Supplied securely boxed and packaged.